"Adorable Chihuahuas Address Labels" product is already in your cart. Chihuahuas Are Charming checks show four images of this tiny dog breed. Chihuahuas were first discovered in Mexico and were sacred to the Aztec and Toltec tribes in that area. They are the smallest of the dog breeds and also have the largest brains in comparison to their size. 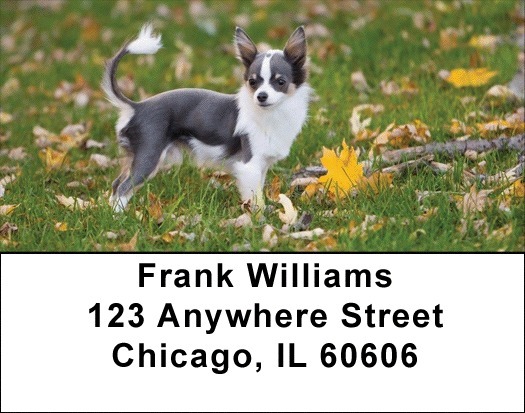 Chihuahuas Are Charming Address labels are self adhesive. Matching checks are also available.